Covering more than 801,000 acres, Big Bend National Park is Texas’ largest park and one of its last untouched wildernesses. On the southern part of the state’s mountain and basin region, 118 miles of the Rio Grande River forms a natural border with Mexico. 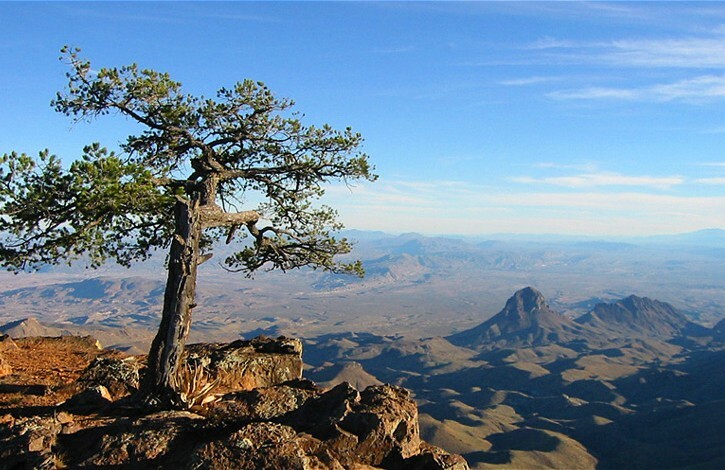 Of the fourteen national parks with mountains, Big Bend is distinguished for being the only one to have within its confines an entire range – the Chisos Mountains. Driving the winding roads, one never loses sight of the Chisos, and in the distance, in late-afternoon against the otherwise flat landscape, the strip of faded purple ribbon can be mistaken for distant clouds. The sight can be breathtaking when at last they break into the foreground to encompass all views. Centered within the Chihuahuan Desert, it is worth stating for the armchair traveler that the desert looks nothing as one expects (images of dunes surely just mirages of the Saraha). Instead, the whole landscape is full of flora and fauna, its own delicate ecosystem. Everywhere prickly pear cacti mix with blossoming yucca, seven-foot-tall sotols, and Texas madrones. Along the roads bluebonnets poke out of the grasses. At night one can hear the high-pitched yelps of coyotes and in the cool hours of morning follow in the dust the prints of jackrabbits and lizards. 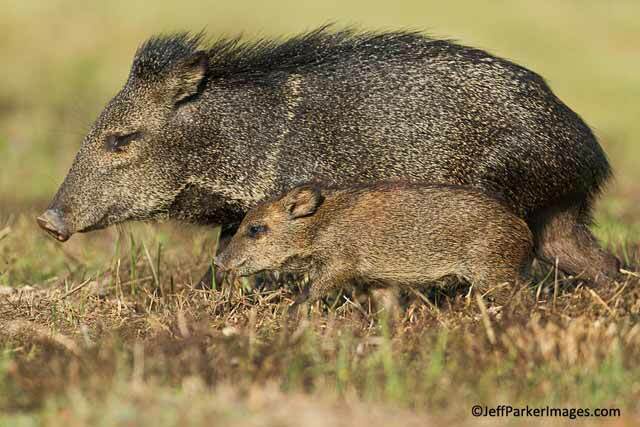 A pair of wild javelinas. Though not legally-recognized as wilderness under the Wilderness Act of 1964, Big Bend National Park is functionally so (due to a very particular loophole). 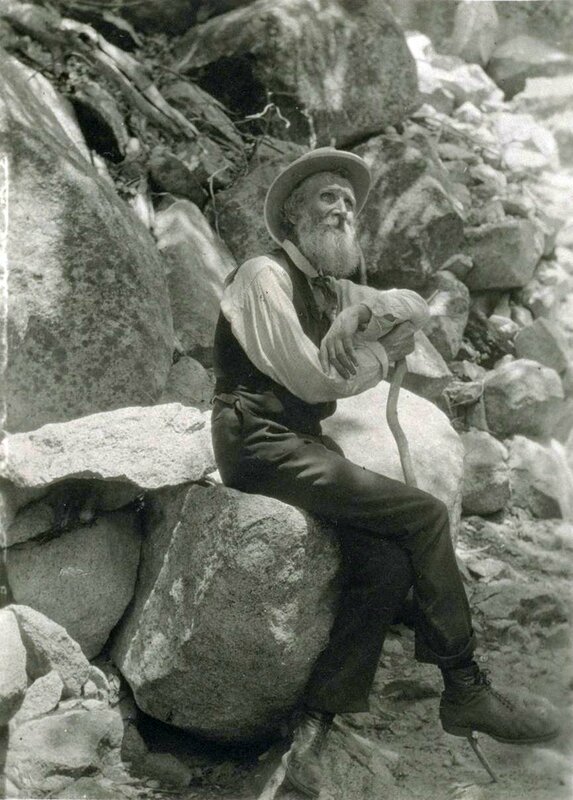 It is my hope that it and other lands achieve this designation because as the naturalist John Muir observed: So much of the national identity is engaged with wilderness and it is something to be experienced rather than read about. To stand at the base of a mountain and watch the shadows ascend, chasing the light so the contrast of every stone becomes sharper, each cave deeper and darker. To hear one’s voice echo within the 1,500 foot walls of the Santa Elena Canyon. To, in those moments, be a vessel of the old dream that knew there were unknown lands to be explored and witnessed and reported on. Each of these things are now words on the page but live in parts of me words cannot reach. After experiencing the wilderness, when one returns to the city, it is apparent how we are primed to regard the land as built within the city, another structure as manmade as a skyscraper, as though each park and river were carefully layered onto city blueprints. The land, it feels, exists on pavement and not vice-versa. But to witness the less than 5% of wilderness that is unsettled by the United States supplants this delusion. Everywhere man inhabits exists within the landscape; beneath it will never be a city but beneath all cities will be it. Returning home from a visit to Big Bend National Park, the world feels a little larger, unknown.